Jordan created a unique grant application for the 6 month research period that resulted in this site. 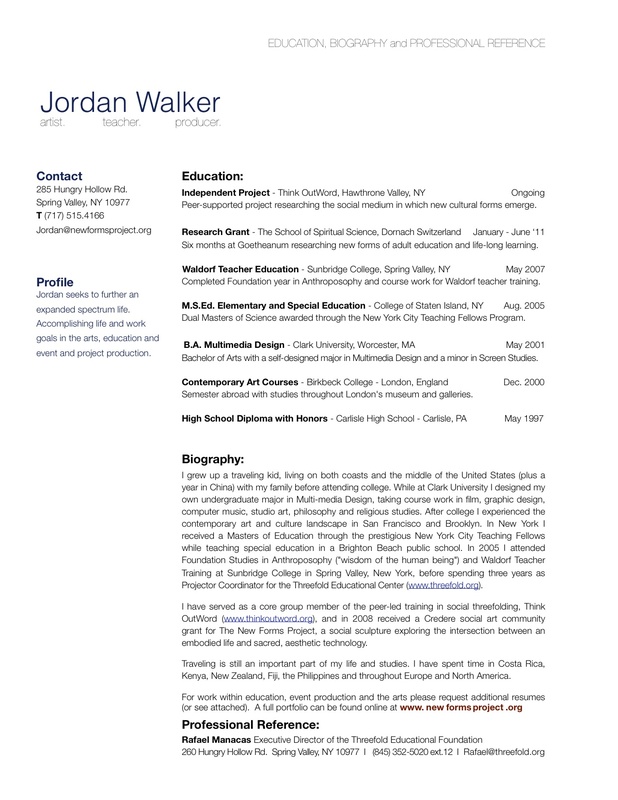 As an element of the application, and in order to illustrate the self-reflective learning process that he hoped to embody, Jordan produced 4 different resumes of his previous life experience. The first page covers general education and a short biography. 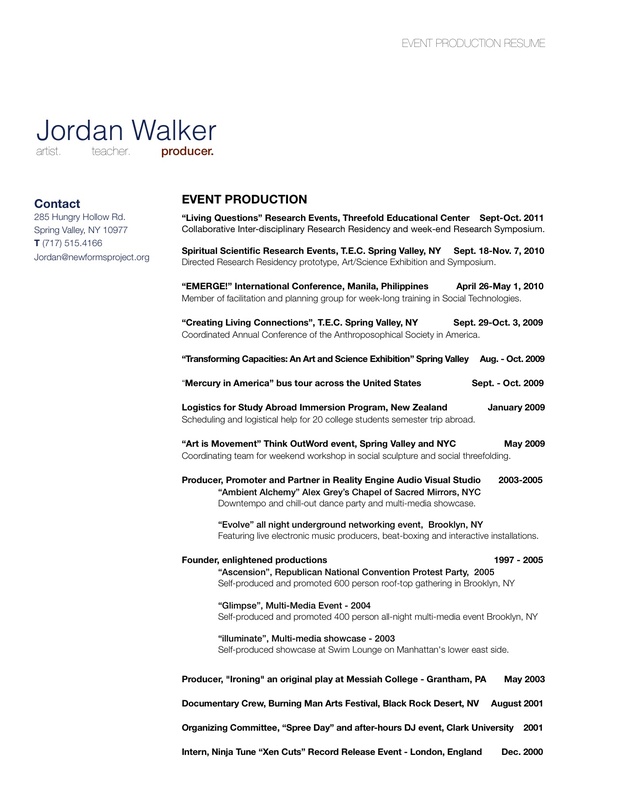 The other three resumes reflect a categorizing of Jordan’s work and life-experiences along the lines of the threefold aspect of the human being: the thinking , feeling and willing. 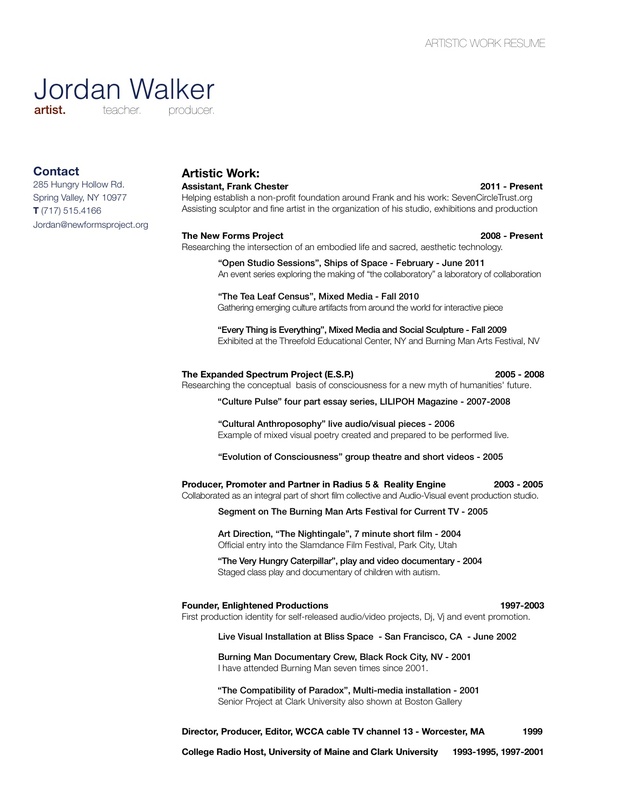 For Jordan this division looked like three separate resumes – one for teaching, one for art and one for event production. While the division may be artificial (each job and project certainly contains elements of all three parts of the human being), it did prove to be a useful exercise in identifying unique threads and tendencies in his own biography and may prove a helpful self-assesment tool for determining capacities and vocational next steps for others. 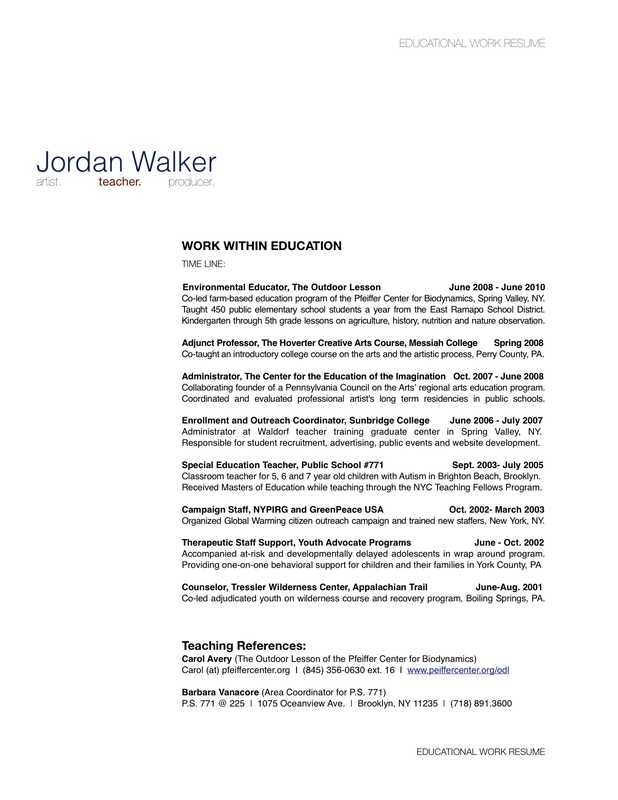 An updated version of the four resumes are given here as an example of one possible “life-portfolio” method. The resumes may be downloaded here. Education, Bio and Reference Reume, Education Resume, Arts Resume, Event Production Resume.